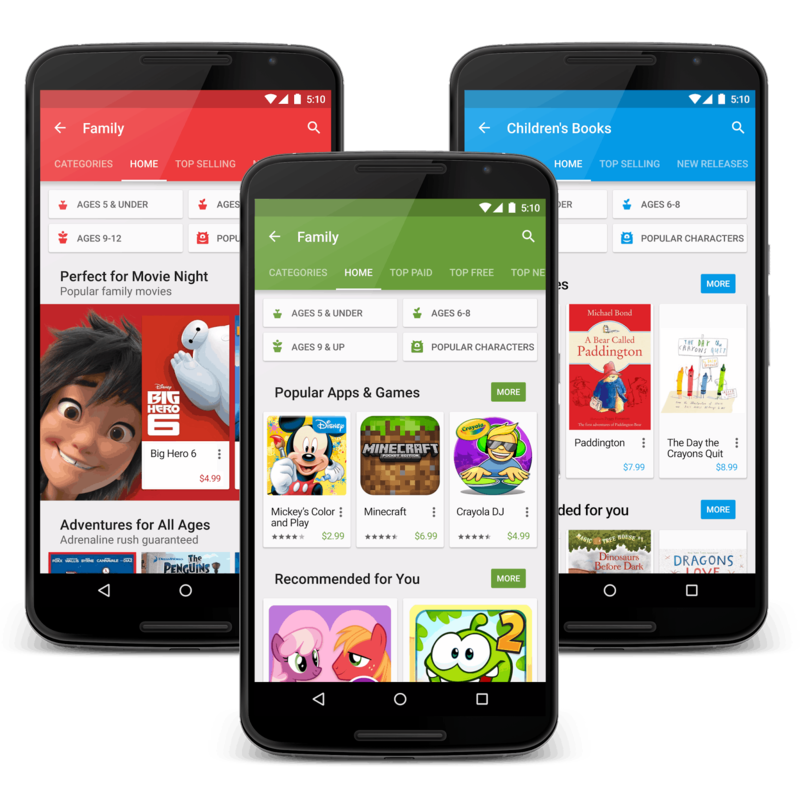 During Google I/O the week before last, Google announced a new Family section in Google Play which was built to help parents find age-appropriate content for their kids. The new section covers the apps, games, movies, and books categories of Google Play. Press reports suggest it actually launched a couple of weeks ago, but it only just crossed my desk today. The apps, games and movies section pages now have a new Family button which you can tap to filter out all but family friendly content. The Family section of the Google Play Books is a little harder to find. The Family section of Google Play Books can be found in the Genre button's drop down menu. 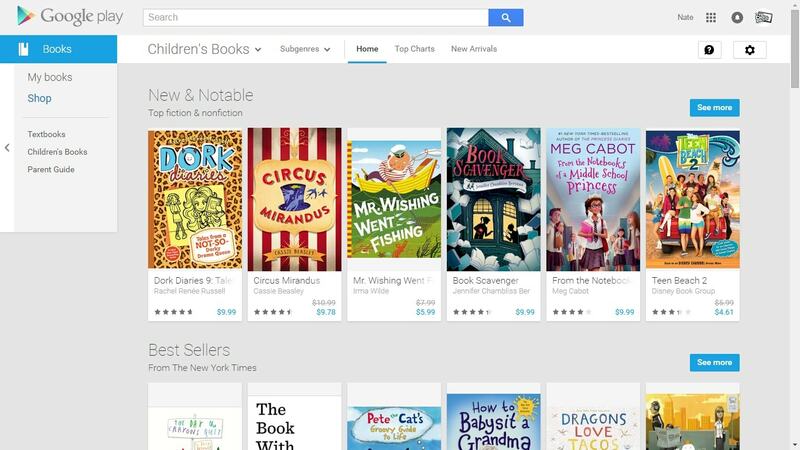 Regular users of Google Play Books might recall that Google Play Books already had two age appropriate sections (eight and under, 9-12); they have been reorganized into a new subsection called Children’s Books. The new section features three age categories for kids under twelve, as well as child-safe books organized by the usual genres (SF, adventure, mysteries, etc). "Whether your child is still learning shapes and colors, or is getting into more scrapes than Judy Moody, you’ll find inspiring ideas for every age. What’s more -- top charts, recommendations, and even searches from family homepages are filtered to our family friendly catalog." I've looked over the new subsection, and while everything seems to be classified correctly I can't claim to be an expert on kids books. Google Play Books is available in over 60 countries, at last count, and as you can see from the promo shots at the beginning of the post, the new Family section should be available in the Google Play App on your Android device (I'm not seeing it, though). This is nifty, but it pales in comparison to Google's competitors. Kobo, for example, launched child accounts and a Kid's Store in November 2013, and Amazon offers a locked down kids mode called Kindle Freetime as well as a child-safe subscription service called Freetime Unlimited (it recently launched in UK and Germany).